Shortly after midnight on December 26, 2004, a rupture between tectonic plates beneath the eastern Indian Ocean set off the longest and third largest earthquake on record. Its aftermath generated a tsunami that battered the coastlines of Indonesia, Sri Lanka, India, and Thailand and reached as far as South Africa. It unleashed more than double the collected explosive energy used during the Second World War, claiming over 200,000 lives and leaving over 1.7 million people displaced from their homes. While the Boxing Day tsunami, as the event came to be known, stands as the deadliest tsunami in recorded human history, the study of Earth’s prehistory has revealed a disaster that was much greater still. When a six-mile-wide asteroid or comet struck the shallow waters off the tip of the Yucatan Peninsula near present-day Chicxulub, Mexico, approximately 66 million years ago, it set off a tsunami that reached every ocean and, ultimately, led to the mass extinction of nearly 75 percent of all species on the planet. Rackham alumna Molly Range (B.S. ’17, M.S. ’18) modeled the full extent of the event in a new study led by Range’s advisers, University of Michigan oceanographers Brian Arbic and Theodore Moore. 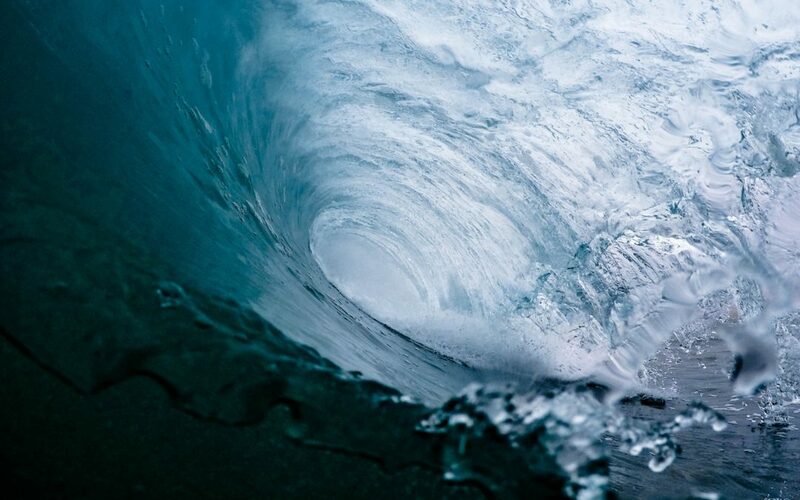 The study is the first to produce a global model of the tsunami. The model Range and her team created will be invaluable for future Chicxulub researchers. By simulating the speed and force with which the tsunami waves spread around the planet, the model gives researchers a new tool to corroborate and test their observations in the real world. But modeling an event that happened long before the dawn of seismic buoys and satellite imagery presented significant challenges for Range and her colleagues, not least of which was the sheer size of the cataclysm. The magnitude of the tsunami’s initial moments and global scale of its impact meant that no single computer model was capable of simulating the event from start to finish. While standard tsunami models like the modular ocean model used by Range and her team can simulate changes in the Earth’s crust of one or two meters, the Chicxulub impact created a crater approximately 1.5 kilometers deep—roughly 1,500 times larger. In order to factor in the initial conditions of the tsunami, Range reached out to her collaborator and coauthor Brandon Johnson, a geologist at Brown University who specializes in modeling meteor impacts and their effect on planetary geology. Johnson was able to model the first 10 minutes of the Chicxulub impact using a specialized modeling tool called hydrocode analysis. With Johnson’s model providing the initial conditions, Range was able to use that data to begin working with the modular ocean model to simulate the rest of the tsunami. But further challenges lay ahead. In order to simulate a tsunami, researchers also need its bathymetry, which Range describes as the topography of the water. While the bathymetry of modern tsunamis is usually recorded in real time, the technology to do so was obviously unavailable during the late Cretaceous period. Combining the bathymetry data with Johnson’s model, Range was able to model the entirety of the Chicxulub tsunami as it made its way around the globe. Near the site of the impact in the Gulf of Mexico, the tsunami wave stood nearly a mile high and traveled at approximately 89 miles per hour. Within the first day, it had spread into the Atlantic Ocean to the east, as well as through the Central American Seaway—the now-vanished body of water that once separated the Americas—into the Pacific Ocean to the west. While the tsunami reached every ocean basin on Earth, the North Atlantic and South Pacific bore the brunt, seeing 46-foot waves and significant coastal erosion. Moore is currently conducting his own study of that erosion at sites around the world, with his findings beginning to corroborate the conclusions of Range’s model. As she continues revising her team’s findings for publication, Range reflects on the unexpected journey on which this project has taken her. Range was the recipient of a 2017 Rackham Travel Grant, allowing her to attend her first AGU conference in New Orleans and present research she had conducted as an undergraduate student. That experience set the stage for her to return in 2018 to present her team’s work on the Chicxulub tsunami.